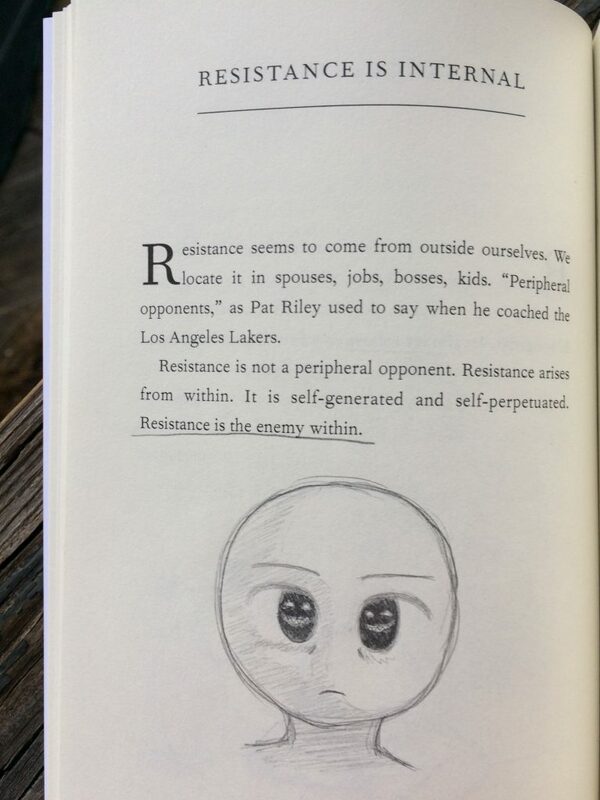 Recently, my pals at Praxis sent me a book called The War of Art, by Steven Pressfield. I read it through in an afternoon, because I have exactly zero impulse control when it comes to good books. It was both brilliant and stupid. There were several pages in a row during which I chanted “yes yes yes yes” aloud. There were also several pages that left me thinking “is that really necessary?” And then there were the rest of the pages, which all pretty much left me going “yeah, alright, that makes a lot of sense.” Overall, it’s a good book. One of the biggest reasons that I think it’s a good book is because the things I liked and didn’t like have much more to do with me than with the book. My general life philosophy is heavily based on two things: the WYSIWYG rationality Eliezer Yudkowsky lays out on his blog Less Wrong and in his book Rationality: From AI to Zombies; and the cheerful, playful discovery one understands immediately upon reading anything written by Richard Feynman. But the thing is, if you’re a different kind of person than me, you’ll prefer different parts of this book. That’s what marks it as good. Every person can get value from it. That said, here’s what this book does. It shatters you into a million pieces, names the pieces, and teaches you how to interact with each one for optimal creative productivity. 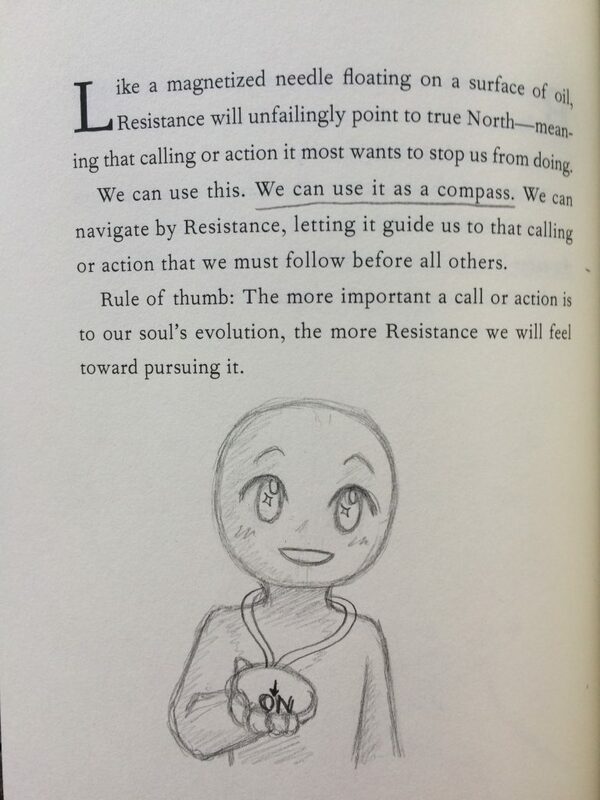 One piece, the author calls Resistance. Another, the Ego. Still others, the Self, the Unconscious, angels, muses. It’s an extremely intuitive explanation, and when interacting with your own brain, objectivity is less important than subjectivity. Regardless of whether or not you are a mere conduit for creative forces which mostly exist outside of you, thinking that way will help you both be more humble about and distance your ego from your craft. This book doesn’t tell you what’s true. But it does tell you how to think about yourself and your work. That’s just as valuable. 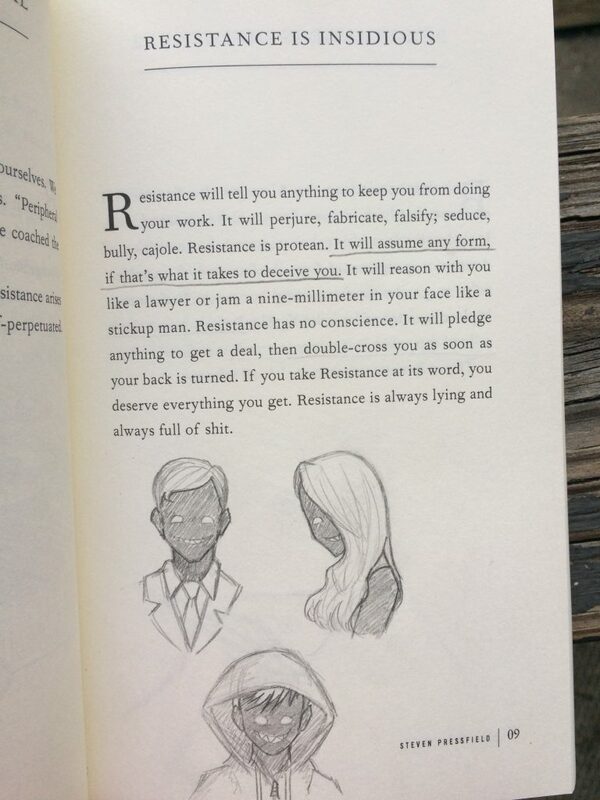 In case you’re still not convinced to pick this up and read it, here are the opening words of the book, where he describes the primary enemy, not just of artists and creatives, but of people everywhere: Resistance. Now that (I hope) I’ve convinced you to go read this, let me share one more thing with you before I leave off for today. Some time ago, I read an article about why you should write in books. I can’t find the article, which leads me to believe that I probably read it for the SAT and that’s why it’s so damn obscure, but regardless, I read that article and now I always read with a pencil in hand. Because I’m an artist, I don’t just write in margins, I draw. 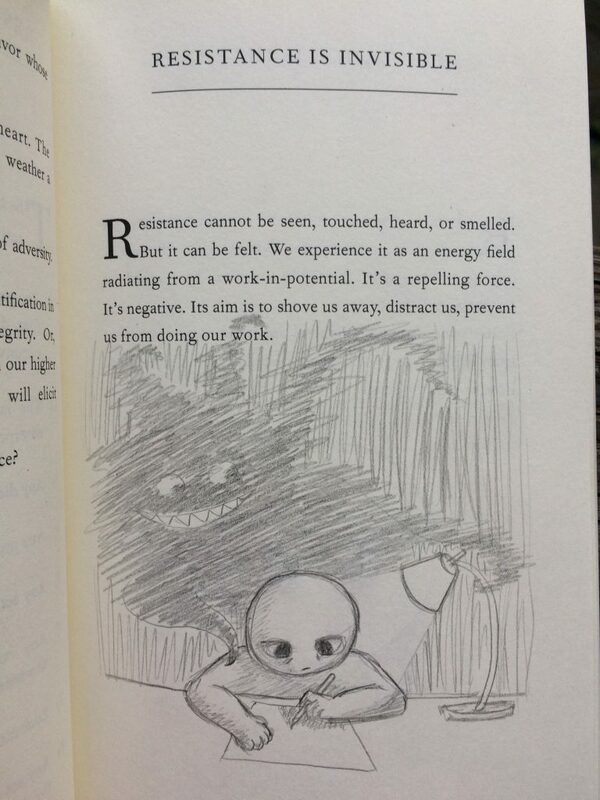 If I’ve got a verbal thought, I put a note down; if I’ve got a visual thought, I put a drawing down. Some books don’t have enough white space for my margin doodles to be any good, but the structure of this book means it has a lot of white space, and as such, a lot of margin doodle room! Alright, that’s it for today. Till tomorrow, ciao!